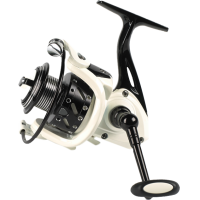 Fishing reel with a beautiful finish, white body and black details. Strong inside, 6 ball bearings, aluminum spool and spare aluminum spool. Micro-adjustable brake and a perfectly balanced rotor. 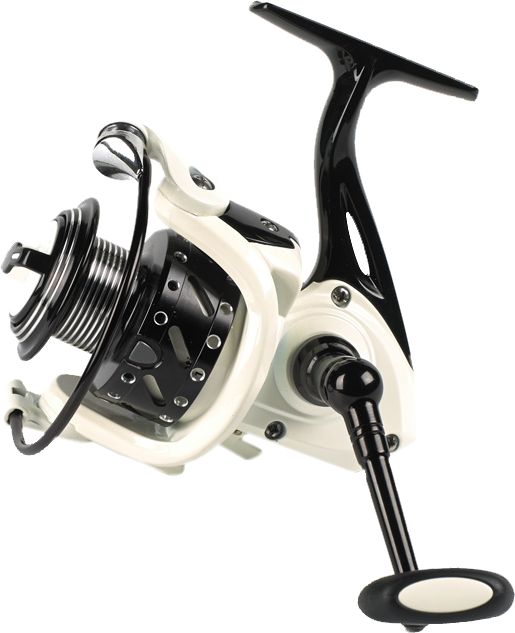 Contains one shallow spool (perfect for feeder fishing) and one deep spool.